Born in London, Joanna graduated from Cambridge University in 2011 with a First in French and Spanish. Her dissertation was about how the technological transition from gas to electric lighting under Napoleon III influenced narration in novels and poetry about Paris; she chose to work in the digital world to witness and analyse another period of technological and cultural transition. Joanna started out working in journalism, then using her language skills to work in communications as the PR assistant at Apple (France), before running the cultural partnerships wing of the advertising department at Qobuz, the high-resolution music streaming platform. She joined Haigo to build the brand and to experiment in the new workplace role of happiness management: building tools and a company culture to favour employees’ professional and personal development, using design thinking. 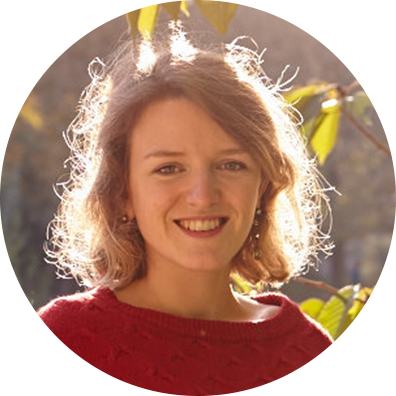 Joanna is interested in languages, migration, and urban history. She works one day per week as a researcher with New York Times journalist Elaine Sciolino on her forthcoming book on the history of the Seine. She is working on finding better ways to infuse digital transformation (that Haigo is so good at) with historical, philosophical and artistic expertise, and will be taking a study break in September 2017 for a one-year Masters in Experimentation in Political Arts at Sciences Po, Paris.